Having your house on the market in the winter means you'll face some special challenges. Without the benefit of landscape in full bloom, a home can appear drab. To avoid losing potential buyers, here are three tips to garner buyers’ hearts through better winter curb appeal. 1. Turn drab into fab by adding a few winter-flowering shrubs and perennials to your landscaping. 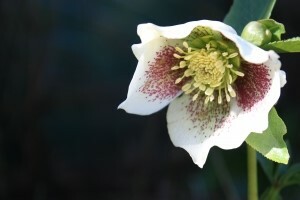 Some attractive options could include Pieris Japonica, the Hellebore, Christmas rose and winter jasmine. 2. Spruce up your intrigue. If you've got visible mulch around your trees and shrubs instead of a crisp white layer of snow, make sure it's fresh. The longer mulch sits in the sun, the grayer it becomes. At some point it’s hard to even tell it is mulch anymore. So add that subtle punch of color to the otherwise dormant landscaping. 3. “Crisp and Clear” should be your motto during the winter months. So check all areas where winter storms can deposit problematic ice and snow. While you might not have issues with it, the young, old and those with disabilities likely will. Minimize your liabilities, both visual and actual, by shoveling snow and spreading salt or melting agents to alleviate the problems as they occur. Keep in mind that an ounce of prevention can produce a pound of cure, so for more permanent solutions to recurring buildups of snow and ice, check for good drainage away from your driveway and house. Additionally, clean your gutters and downspouts to help to eliminate ice dams or the formation of massive (potentially dangerous) icicles and ice puddles as those begin to melt. Selling a home in winter may not be the most ideal time to show off your home's beauty, but these tips can mitigate seasonal challenges. For additional information regarding the selling process, feel free to contact me and I'll be happy to offer suggestions for preparing to sell and regarding the best way to increase appeal or help you to determine the value of your current home.